The success of any crop is highly dependent upon the soil in which it’s grown. Throughout history, the government has taken steps to help farmers understand their land and soil conditions to be successful growers. In 1899, the USDA’s Division of Soils began to conduct soil surveys across the country. Today this work is done under the Natural Resources Conservation Service. U.S. soil textures vary widely, from sandy to rocky to heavy clay. Soil chemistry also varies when it comes to components like sodium, chloride, or boron. While these are important nutrients, excessive amounts can be detrimental to some crops, such as almonds. Almonds are one of the leading crops in California’s Yolo County. But some areas have especially high boron levels due to sediments left behind from the state’s geographical history. These sediments settled in land that was once covered by ocean, and rainfall has carried them into Yolo County and other parts of the Central Valley. Too much boron — generally 1 ppm or more — can ‘clog up the pipes’ in plants. Boron can interact with sugar in almond trees and form a gelatin-like substance that can build up and rupture at branching points. The substance accrues to form wounds that resemble gumballs, in which fungus can settle, grow, and infect the tree. 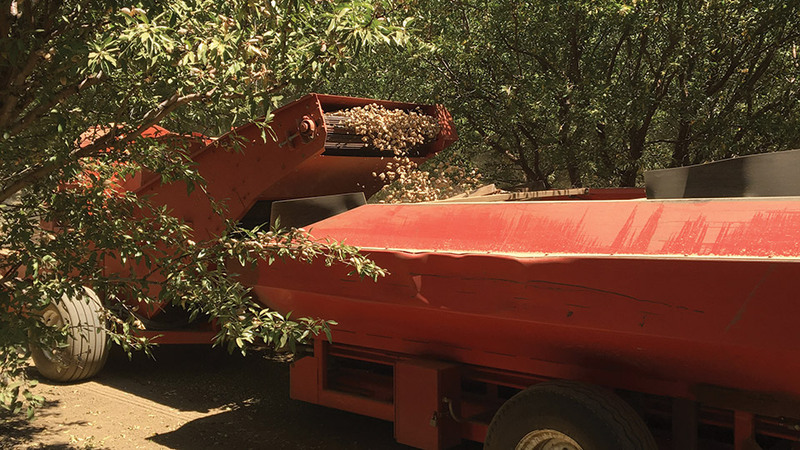 But University of California Cooperative Extension (UCCE) researchers have found that some almond rootstocks can withstand these high boron levels better than others, says UCCE Orchard Systems Advisor Katherine Jarvis-Shean. Jarvis-Shean’s predecessor, Carolyn DeBuse, saw the issues with almond growing in Yolo County and launched almond rootstock trials to find which fared best in soil with a high boron level. 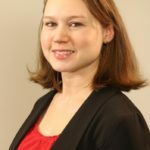 Jarvis-Shean has been leading the trial since 2014. Various stone fruits come from different ecosystems and so have developed unique genetic strengths. An almond rootstock could be crossed with a peach rootstock or another stone fruit that’s more apt to growing in high boron areas. An almond scion also can be added to non-almond rootstocks. Jarvis-Shean experimented with rootstocks in Yolo County in silty clay soil, with boron levels between 1 and 3 ppm. She studied a number of common peach and almond hybrids that generate vigorous trees: FxA, Titan, Nickels, Brights 5, and Hansen 536. She also included Viking, a complex hybrid of four different trees including peach, almond, myro (wild) plum and apricot; Rootpac-R, a hybrid of myro plum and almond; Krymsk 86, a hybrid of myro plum and peach; and Lovell, which is pure peach. The trees were planted in 2011, and their health and yield have been evaluated every year. Unlike most plant species, plants in the Prunus genus accumulate boron in the fruit. Leaf boron levels are not a good indicator of toxicity in almonds. Instead, boron is measured in the hulls at harvest. Boron conditions are considered toxic if hull boron accumulates above 300 ppm. But Jarvis-Shean was able to draw some conclusions. 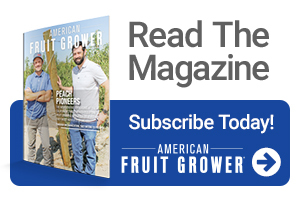 Out of the trees on peach-hybrid rootstocks, FxA, Titan, Nickels, and Brights 5 produced the most yielding trees under high boron conditions. Lovell and Krymsk 86 performed the worst and yielded the lowest, which she says made scientific sense because neither rootstock included any almond heritage.